Santa Ana is a beautiful city in Orange County that’s home to more than 330,000 people. The city offers a lot to its residents in terms of shopping and dining with plenty of notable restaurants and retailers, as well as several attractions that bring visitors from all over the Golden State. The various districts in Santa Ana offer breathtaking cityscapes, making it stand out, as well as visible from a great distance. Considering that the 5 runs across the northern part of the city, many residents commute to throughout Southern California for work. 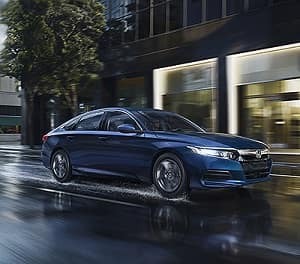 But if you’re currently in the market for a new car, and you’re looking for a stylish and efficient vehicle to take on the road, you may want to take a look around at your local Honda dealer near Santa Ana. At Norm Reeves Honda Superstore Huntington Beach, we’re ready to help you get started! When it’s time to start seeking out your next car, having a Honda dealership near Santa Ana can make the experience so much easier. 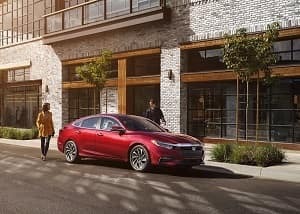 You can easily drop by and take a look around at your options like the sleek and stylish Honda Accord, the adventurous Honda CR-V, or even the eco-friendly Honda Clarity Plug-In Hybrid, among many other models and body styles to consider. You can even get started now by browsing the selection of models available on our lot through our online inventory. That way, you can find the vehicle you want and plan your visit! One of the key components to finding the right car is doing the research. This can help add certainty and confidence into your decision making. As a Honda dealer serving Santa Ana, we try to make this process easier by providing drivers with FREE research materials. You can get started by checking out our vehicle reviews to get the need-to-know details about their favorite Honda model. These guides will showcase factors like engine power, cabin comforts, features and technology, and safety. Our vehicle comparisons will show you how your favorite model measures up to similar vehicles from different manufacturers so you can see which one has what you’re looking for in your next car. Perhaps the best way to decide on your next car is to acquaint yourself with it. When you drop by our Honda dealership from Santa Ana, you’ll be able to get a closer look while getting details from one of our sales associates. Getting behind the wheel can really help you learn all about the vehicle and what it can offer you. Not only do you get the chance to experience the performance and handling, but you’ll also get a great view of the interior features and style, so when you complete the test drive: your mind will be made up. Stop by and see us or schedule a test drive at Norm Reeves Honda Superstore Huntington Beach. We’re here and ready to help drivers throughout Santa Ana for when it’s time to find their next car!